All inverters now come with built in wi-fi monitoring. 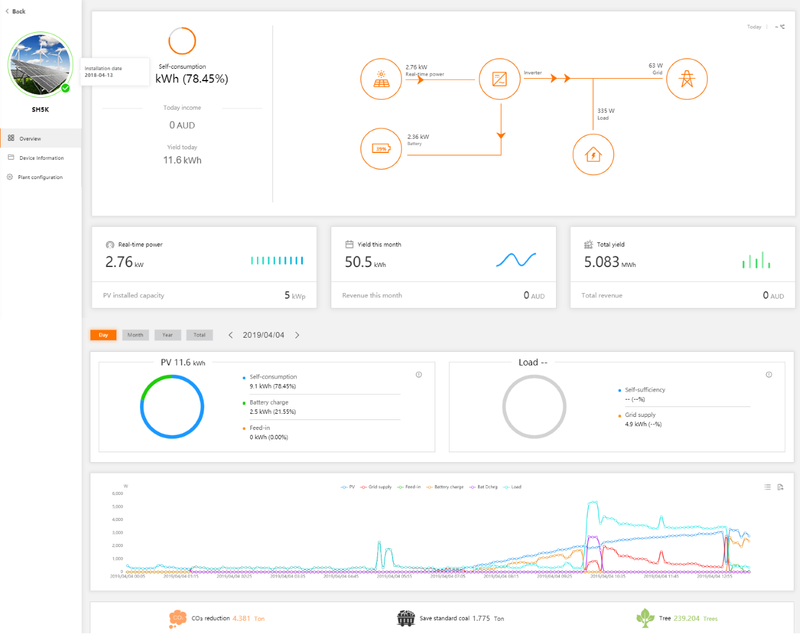 Generally solar monitoring systems are limited to reporting on the information from your inverter such as solar power production at the current time, historical production graphs, some have CO2 reduction and $ value of solar production as well. If your system has a battery then the monitoring will show battery levels, charging rates, state of charge etc. Below are some examples of the type of on-line monitoring interface you will find with most inverter monitoring. We provide no obligation free quotes selecting the best solar solution for your requirements, and we’re more than happy to discuss solar product options and provide more information. 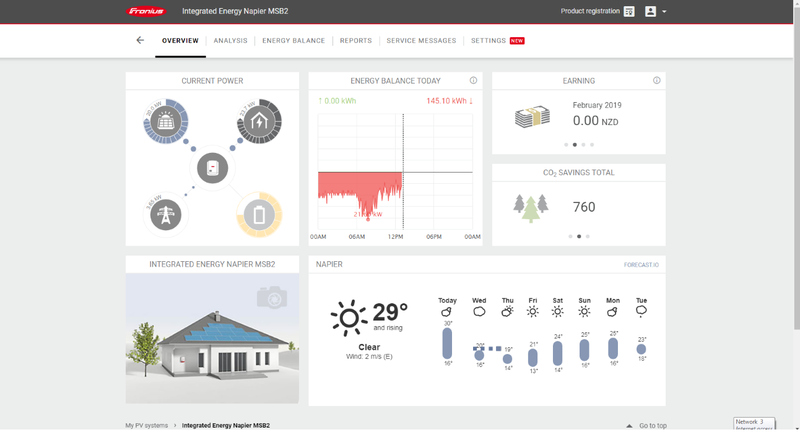 Below are a couple of examples of the Zever, Fronius and SunGrow solar monitoring solutions – these provide great data regarding your system power generation and a summary of your system performance. Other monitoring systems available will monitor BOTH solar power production and if applicable battery status and ALSO AC mains power consumption. 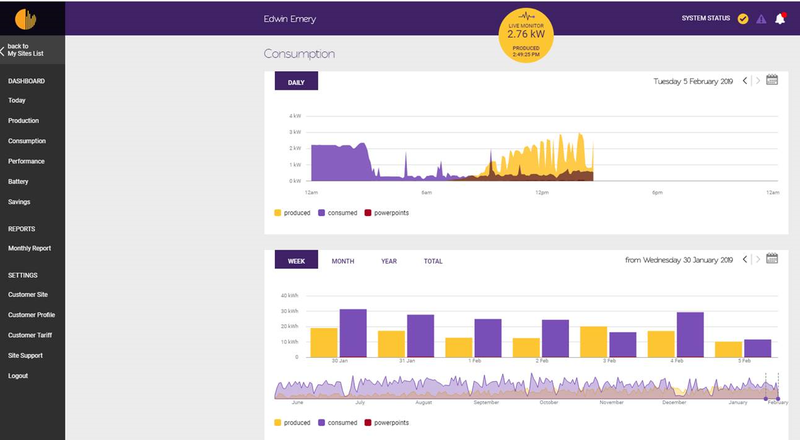 An example of this is the monitoring provided by “Solar Analytics” a monitoring unit that is installed in your fuse board that monitors both solar and the power use of the home PLUS you can monitor specific circuits in the home such as a heat pump or hot water system, spa pool etc. With one single phase unit you can monitor 3 circuits plus total mains power and solar. 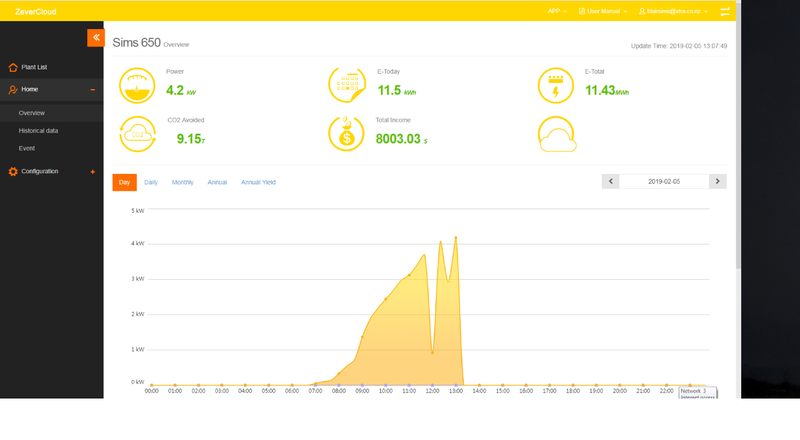 Sungrow Hybrid inverters have a cloud based monitoring platform that allows you to view the performance of your solar system, the battery level and the amount of power being used from the grid and battery etc at any time. 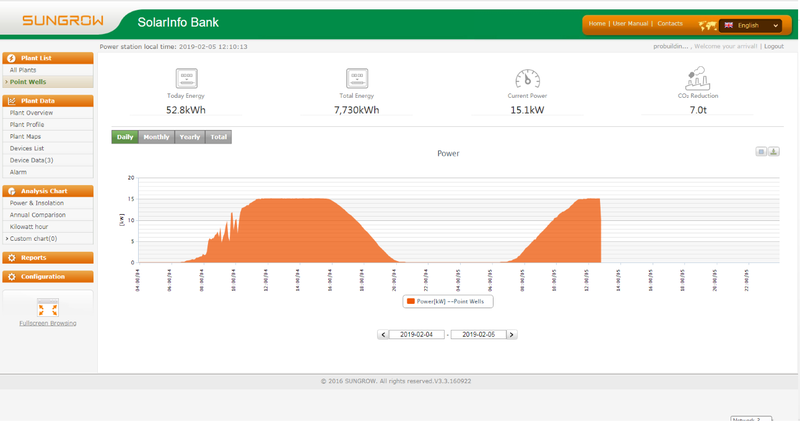 The graphic below shows a typical system interface on one of our residential systems with battery attached. 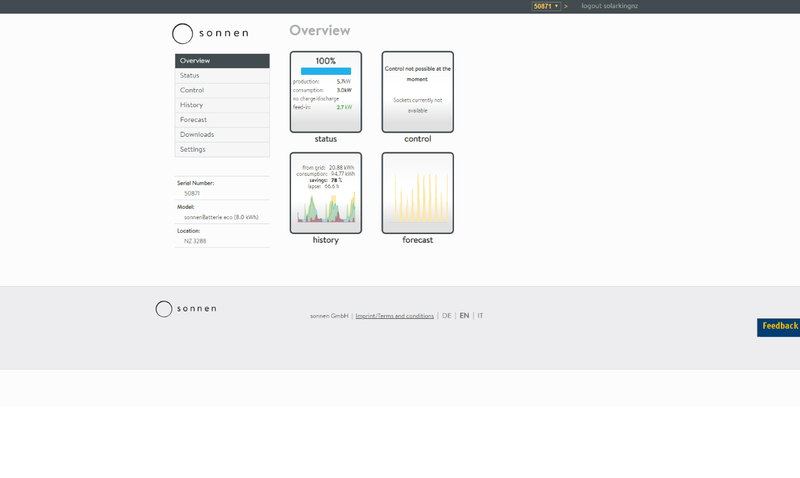 With other systems such as the Sonnen, AC coupled battery storage and energy management system you can get even more sophisticated monitoring and control. 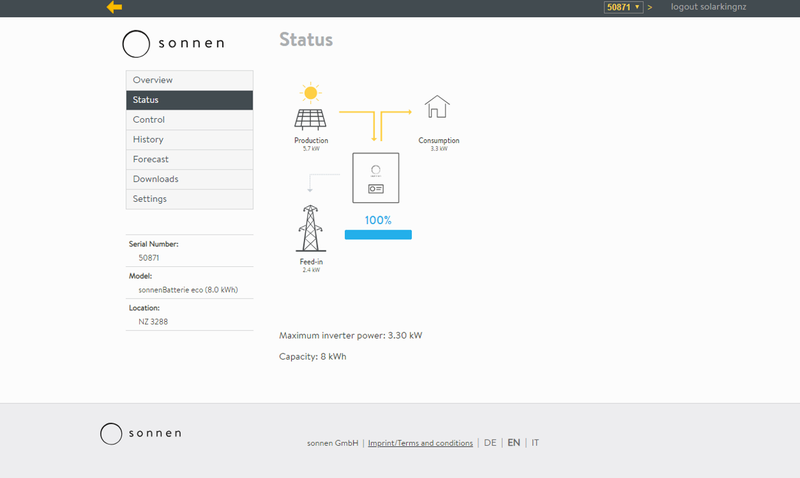 The Sonnen system shows system data, power use record by the half hour real time data plus a forecast of tomorrows production. 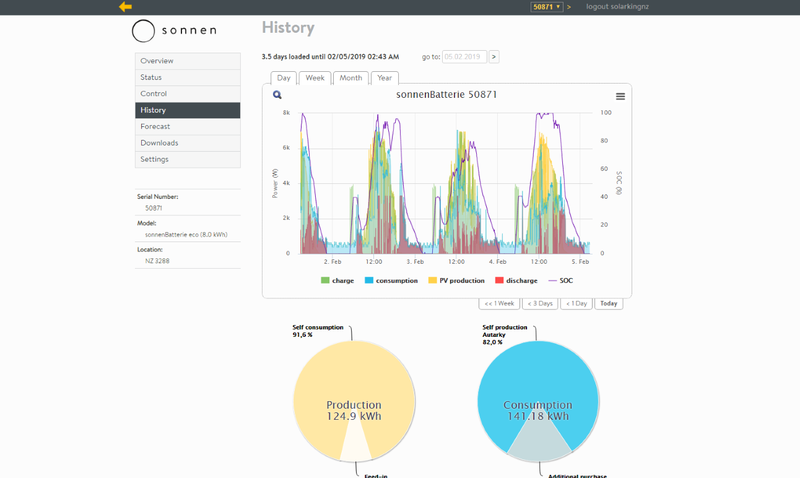 Sonnen includes a sophisticated AI module that models your power use, downloads weather forecasts and predicts solar production, then ensures that the battery is full to cover the predicted demand based on historical use. 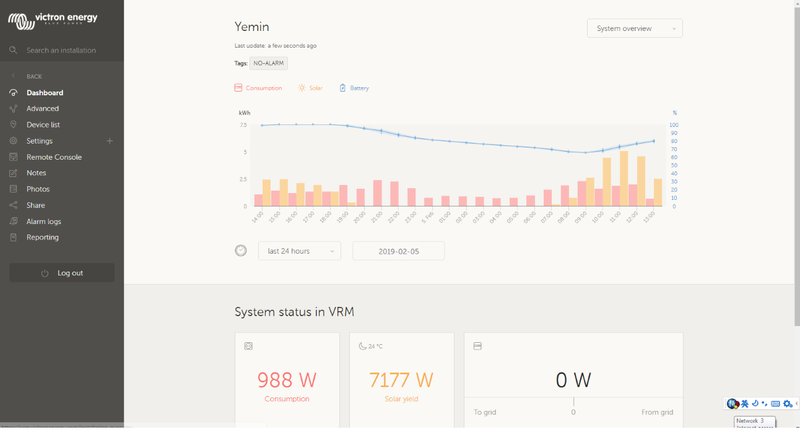 Below is an example of the Vitron Off Grid system monitoring option.